Clubhouse before first level was added. Shown is actually what is now the second level, raised. Looking west— members uprighting vessel. 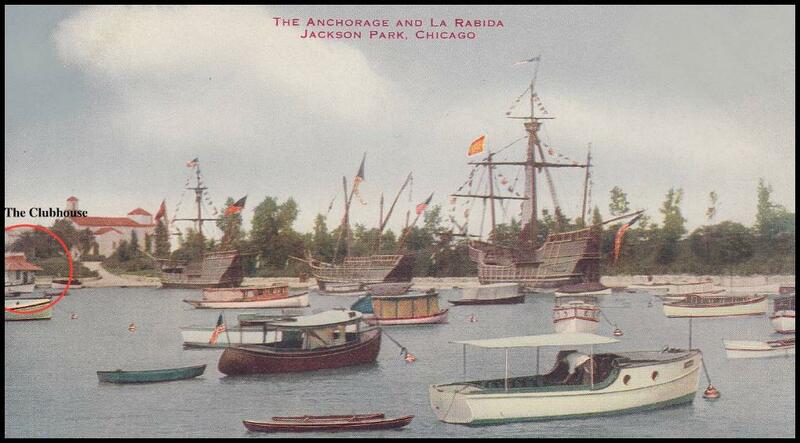 Just south of the clubhouse; looking west at one of the ships given by space for the 1893 Columbian exposition. The start of the Lady's Skippers Race in from of the clubhouse. Looking north. Clubhouse at the very right. 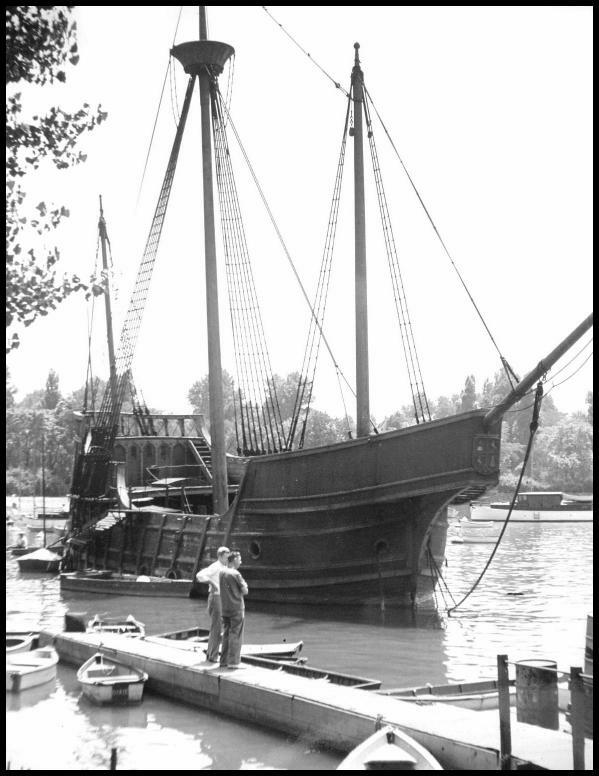 The Nina, the Pinta and the Santa Maria replicas given by Spain for the 1893 Columbian Exposition. Looking north. Clubhouse at the very left.. 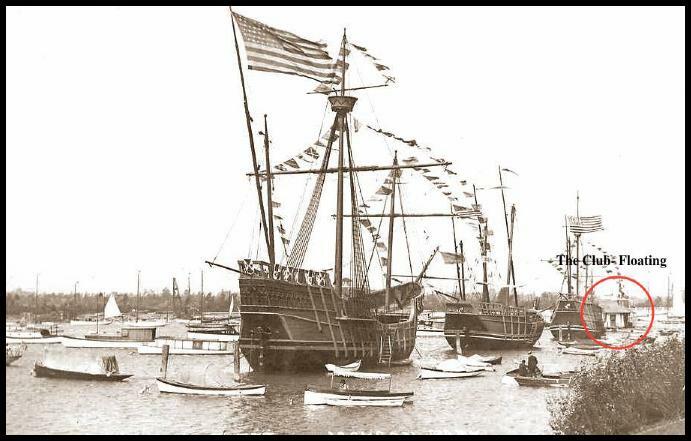 The Nina, the Pinta and the Santa Maria replicas given by Spain for the 1893 Columbian Exposition. 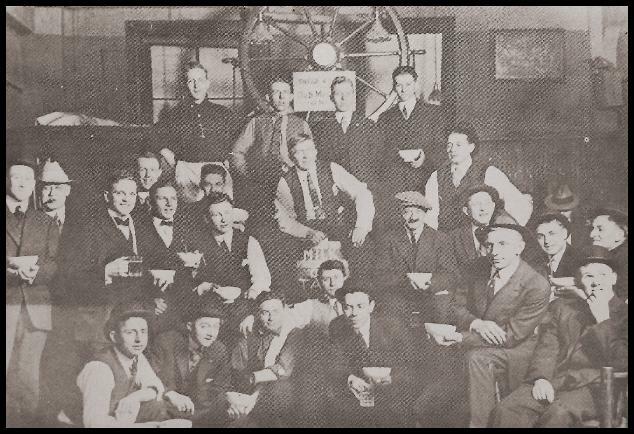 One of the masts is currently the GIN POLE we now use. Looking south— Spanish replica. The mast is currently our GIN POLE. 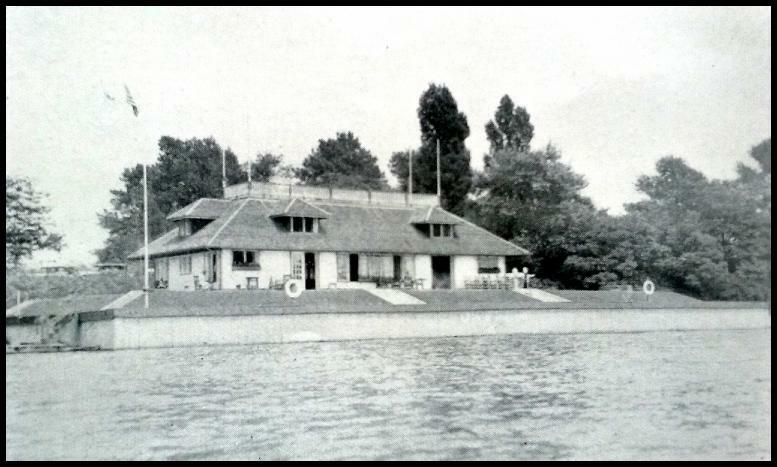 Looking northwest: The original clubhouse is floating on a barge. 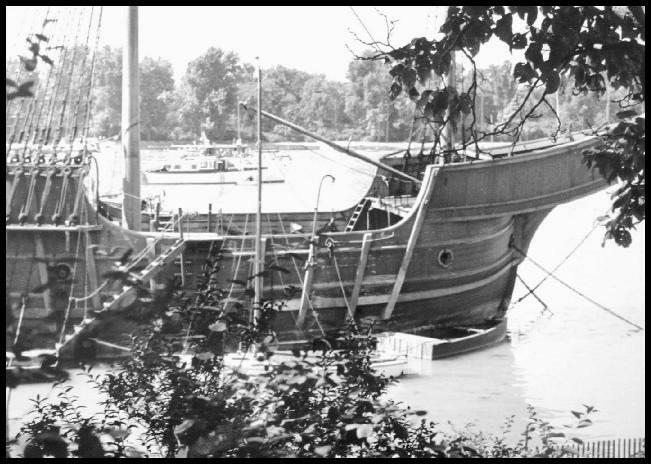 Dinghies were stored around the club house. 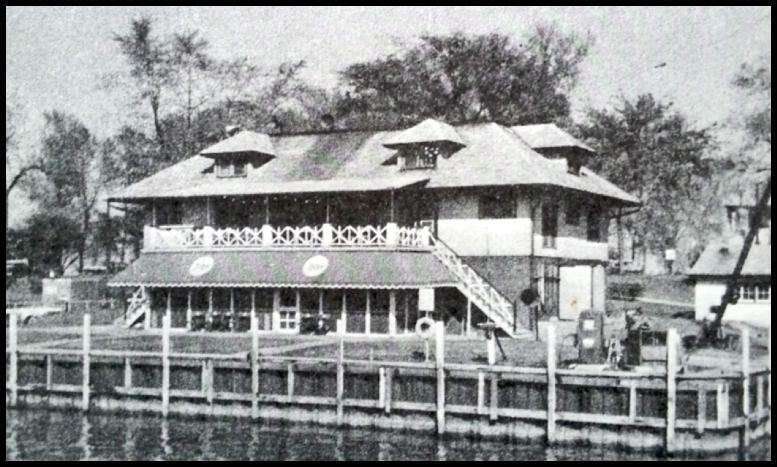 The oldest known member's photo — Jackson Park Yacht Club. 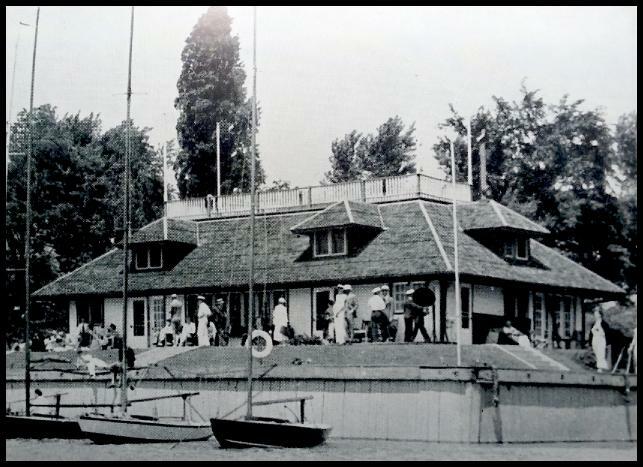 JPYC clubhouse in the 1930's. 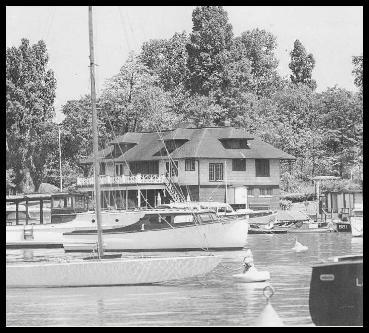 JPYC clubhouse in 1969 — note the gasoline pumpin the front, which was eventually removed in the 1980s. The entrance stairs were on the north and south leading to the seond level and eventually removed for security.